When I think of lettuce wraps, I usually think of Asian flavors. 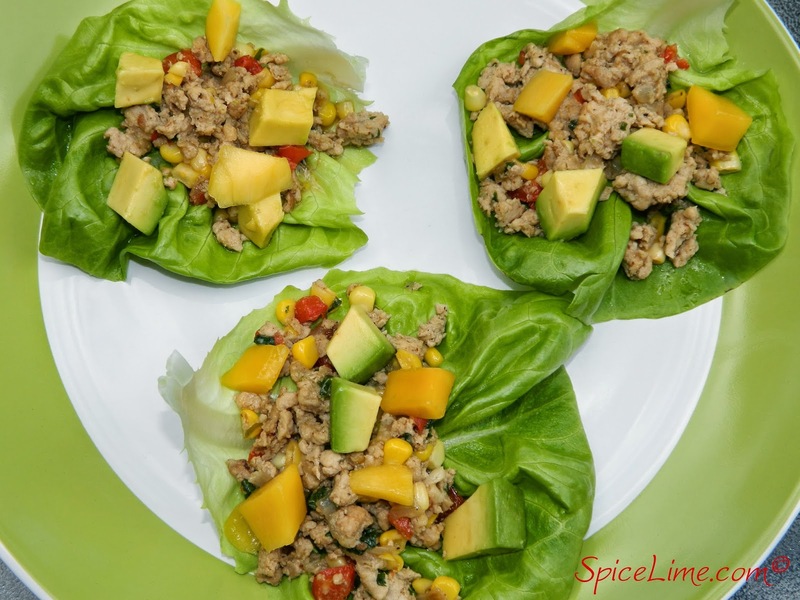 Here's my recipe for chicken lettuce wraps, but with a Mexican twist. 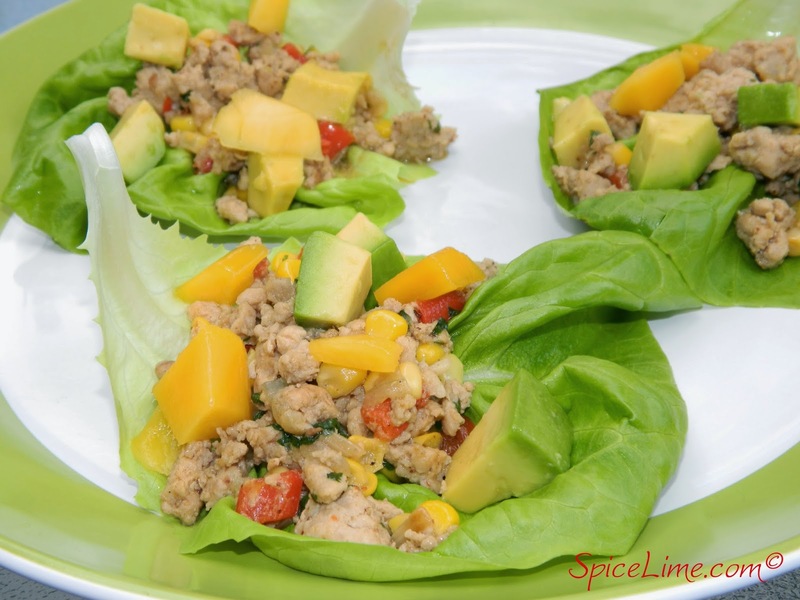 Lime, cumin, cilantro and fresh tropical fruits of avocado and mango star in these deliciously healthy wraps. They make a wonderful appetizer or lunch! If you can handle the heat, add a few slices of fresh jalapeno on top. In a large pan, heat olive oil over medium heat. Add onion and stir for 3 minutes. Add garlic and red bell pepper, stir for one minute. Add chicken and let cook until browned, stirring occasionally. Add lime juice, corn kernels, cumin, salt and pepper. Cook for 5 more minutes. Stir in cilantro and remove from heat. Gently wash the lettuce leaves. Let drain on paper towels or pat dry. Dice avocados. To assemble: Spoon the chicken onto the lettuce leaves. Top with diced avocado and mango. Serve immediately.